Modern veterinary medicine has obviously done a great deal to make dogs’ lives longer and more comfortable. However, it can’t be denied that some medications are harsh and can have serious side effects. Natural remedies can help to deal with some of the side effects of prescription medicines as well as helping to keep your pet healthier and happier to begin with, but treating minor health problems that can arise. Natural remedies can provide relief for everything from fleas, itching, and digestive upsets, and have the added benefit of being little likely to cause your dog any harm. Keeping your best friend healthy is easier when you turn to natural remedies for some assistance. You will probably be surprised as how many of these natural remedies for your dog are already in your home. While obviously no substitute for acute illness or traumatic injury, these remedies can help to clear up or prevent some of the irritations and problems that your dog may experience. Every dog owner is familiar with the intestinal problems that can arise after your pet has had a round of antibiotics. While often very necessary, antibiotics have a ‘take-no-prisoners’ approach to their job of getting rid of bacteria. 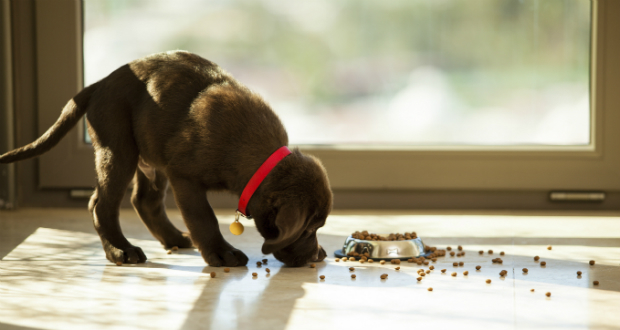 Rather than just eliminating the ones causing illness, antibiotics will usually wipe out the beneficial bacteria present in the dog’s intestines, often resulting in diarrhea. A great way to remedy this is to give your dog plain yoghurt during the course of treatment and afterwards. Yoghurt will help to restore the normal flora found your pooch’s colon and get his system back to normal.